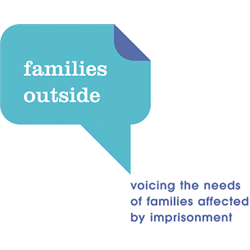 Families Outside is the only national Scottish organisation working on behalf of families affected by imprisonment. Do you have experience of providing direct support to vulnerable families, and the professionals working with them? Are you able to train and promote awareness of imprisonment for families? Based in Fife, you will provide direct support to children and families affected by imprisonment while liaising with our partner organisations in the criminal justice sector.